The Bender JCC of Greater Washington, along with PJ Library, welcomes Montgomery County families to join us for fun-filled Jewish experiences both inside and outside the walls of the Bender JCC. Through play dates, community events, and holiday celebrations we aim to connect families and build friendships in their geographic area (Play dates occur throughout MoCo, not just Rockville). The Bender JCC embraces and welcomes the diversity of our community and encourages everyone to seek meaning and fulfillment by participating in our rich programming inspired by our Jewish heritage. We open our doors to everyone, including people of all backgrounds, religions, abilities and sexual orientations, and interfaith couples and families. Inclusion permeates our Center. From our renowned preschool and camp programs to our resource-packed parenting center, children and families thrive at the Bender JCC. 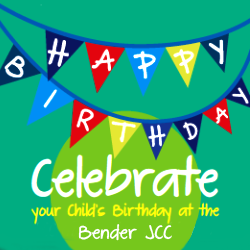 The Bender JCC provides activities, classes and educational opportunities for the whole family. Celebrate Jewish holidays, cultivate essential developmental skills, and create play-filled memories and much more. The Bender JCC also offers a fantastic fitness experience for your young ones. Children can make a splash in our indoor and outdoor pools, run around in our children’s play gyms, and take entry-level sports, arts, dance, and music courses. Parents of small children know that stories are for more than just bedtime. The wonderful habit of ending your child’s busy day by reading together inspired this popular national program funded in part through the Harold Grinspoon Foundation. Greater Washington families raising Jewish children between the ages of 6 months and 8 years old. Subscriptions (one per family) are offered on a first-come, first served basis. Invite friends, family, and neighbors to join in as well! Join a growing global community of more than 200,000 PJ Library families throughout North America and Israel and sign up today! Enroll here! Visit PJ Library of Greater Washington to learn more about our local PJ Library Community. Keshet Sfarim is an IAC enrichment program for families with children ages 2-8. To cultivate a connection to Judaism, this program brings together Hebrew language learning with Israeli culture through hand-picked children’s books. During the school year, families will receive books carefully selected by educators, and delivered to their homes once a month. Visit Keshet Sfarim to learn how to sign up. Please contact Jennifer Radosh, our Family Program Coordinator, at jradosh@benderjccgw.org or 301-348-3848 with any questions, suggestions, or just to help out! Pick n’ Picnic Wednesday, June 5th - 10:30 a.m. - 12:00 p.m.
Join the Bender JCC for preschool-friendly matzo pizza making, Passover activities and a PJ Library story time. Whole Foods will provide the ingredients, you bring your creativity to make the perfect pizza to take home and bake for Passover! Need an assist with your Passover prep? Check out Whole Foods Market Passover catering menu here. Buzz around Busy Bees with the Bender JCC and PJ Library! Join us for a fun-filled morning of PJ Library® story time, crafts, light snacks, and exploration around the center. Cost: Register for free and pay $15 at the door. Please register all adults and children attending the event. For more information, please e-mail Jennifer Radosh. Come stretch out with J Play and PJ Library! Pam Kaufman, Bender JCC’s resident toddler yoga teacher, will lead caregivers and tots in some fun, easy-to-do yoga – no prior experience required. Enjoy light snacks and stories for the kiddos. If the tots have any energy left (and they always do), feel free to swing around on the playground, too! Please register yourself and your child(ren) in advance. For more information contact Jennifer Radosh or call 301.348.3848. 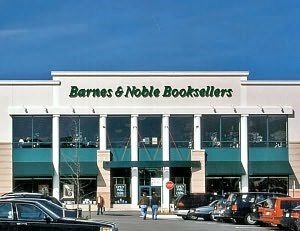 Join the Bender JCC and PJ Library at Barnes & Noble for Storytime, Snacks, and Arts & Crafts. Please register yourself and your child(ren) in advance. Join us at the Bender JCC to welcome Shabbat with a BANG! 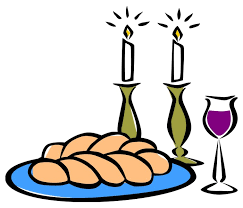 All families with young children are invited to Shabbat Shabbang! No JCC Membership required. This is a program designed to create a community of new and old friends (older siblings welcome!). We will share in a seasonally-inspired gourmet meal and dessert and then participate in a creative and enriching craft and entertainment program that will be fun for both children and parents. 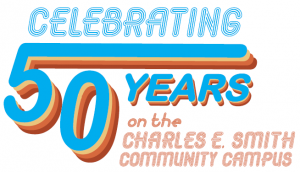 Purchase your discounted tickets before May 10. Parents: Please be sure children are supervised at all times. Ticket prices go up May 10. For more information, contact Lauren Dworkin or call 301-348-3837. Put on your sandals and let the sand tickle your toes at the Pike and Rose Beach! Enjoy light snacks, arts and crafts, and PJ Library stories for the kiddos. Cost: FREE, Pay only for what your pick we would just like a count of those attending. *The date is subject to change based on weather and/or harvest.